Eamonn Walker... Darnell Grey Jr. The story follows Malcolm Gray (Idris Elba) taking sanctuary in a Brooklyn motel room whilst he broods over his past and the rise of his brother Darnell, a ruthless senator, bent on getting into the White House. "Nigerian Filmmaker Shines with Hollywood-bound movie, Legacy." 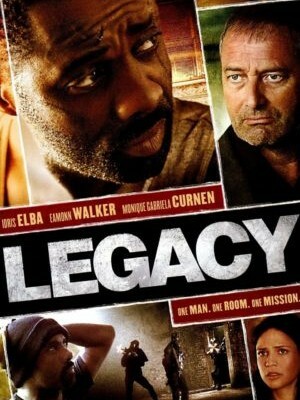 Nigerian Filmmaker Shines with Hollywood-bound movie, Legacy.” NigeriaFilms.com (blog). Harvey, Dennis. "Legacy." Variety 420.11 (2010): 38. MasterFILE Premier. Web. 19 Nov. 2013. Harvey, Dennis. "Legacy." Daily Variety 309.11 (2010): 12. MasterFILE Premier. Web. 19 Nov. 2013.